Reach Your Dream MCAT Score with 3 Helpful Apps: I took the MCAT about a month ago and just found out that I get a really good score. I’m so proud of myself because I studied really hard for a long time to earn the score that I did, but I also know that I wouldn’t have gotten nearly as good of a score without all of the app tools that I had at my disposal. I really want to share with you the three apps that really helped in study effectively, and I sincerely hope that if you or someone you know is planning to take the MCAT soon, these apps will help you achieve your dream score! MCAT Prep is equipped with full-length practice tests – with questions written by professional educators – so if you’re a nervous test-taker (like me) you can have plenty of practice before the real thing. Plus, with these exams, you’ll be able to identify the areas you need the most help in, and any questions you did get wrong are explained comprehensively so you can figure out where you made a mistake. There’s also an MCAT flashcards maker so you can quiz yourself whenever you feel like you need a review. And, best of all, it’s completely free so you don’t have to worry about shelling out a ton of money you don’t have. I have experienced the app freezing on occasion, which I’m guessing is due to the fact that it contains so much information that it sometimes takes a while to load. This definitely hasn’t stopped me from using it, but it is something that could become annoying or inconvenient, so I did want to mention it. I’ve been using Varsity Tutors for the longest amount of time (out of these three apps) and it is really great because it points out all of your strengths and weaknesses as well as highlights the particular areas where you need improvement. In addition, to practice questions, you’ll receive a question of the day for a quick daily refresher as well as a reminder to focus on your MCAT studying. And, if you prefer group studying, you can even add a friend to your study schedule so you can get better together. I will say that at first-glance Varsity Tutors can feel really overwhelming. There is so much material available to you that you may not have time to get through it all. Know that, if this happens to be the case, it does not mean you are going to fail your test; it just means you have even more material to reference if you ever get confused about a topic, which is really nice in my opinion. I’ve been using both MCAT Prep and Varsity Tutors for a while now, but just recently decided to do a little more research on new MCAT prep test apps and came across more apps on some app discovery website. There are loads more (including the two apps I’ve mentioned above – how crazy is that?) if you want to check them out. 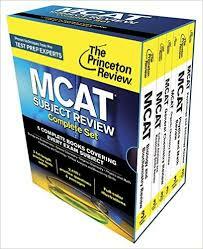 What’s nice about Pre Medical Mastery is that it has over 1,600 practice questions covering all areas of the MCAT, including a section just for critical analysis practice so you can become an overall better test-taker. There is also a list of MCAT mnemonics to help you remember the more difficult medical concepts. And, if you want to know how well you’re doing, there’s a progress tracker to help you identify the areas where you are strong and the areas that could use additional practice. To top it all off, everything is available in offline mode, so you can study even when you don’t have internet. 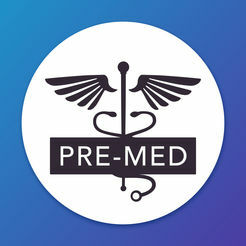 Pre Medical Mastery is a premium-quality study tool and, because of that, you do have to pay for it. While I wish it was free like the other two options above, I will fully admit that I think it’s content is worth it. That being said, if you’re not sure about spending the money, there is a free trial so you can determine for yourself if the app is worth it or not. I am so grateful for all the different ways these three apps have helped me out, and I sincerely hope they will work for you too! As I said before, if you or somone close to you is getting ready to take the MCAT, I think having these apps in your arsenal is a priceless asset that everyone can benefit from.